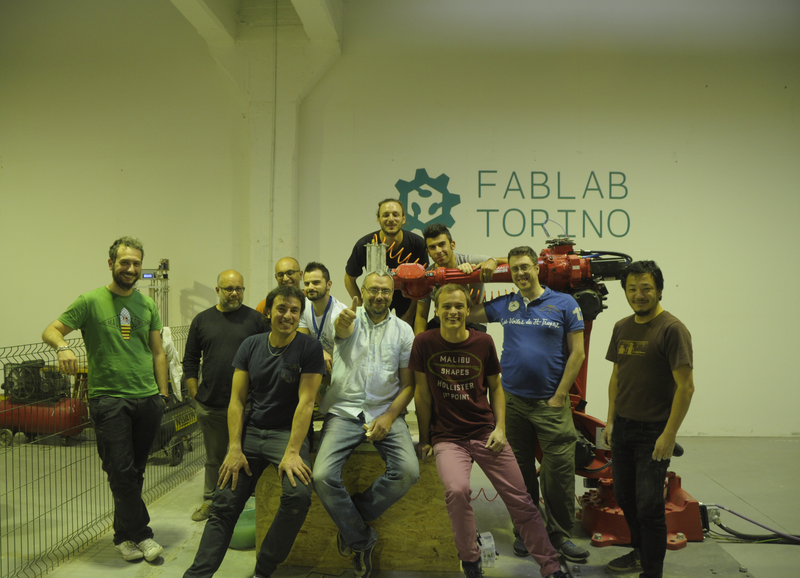 In the last year, Fablab Torino’s objective has been to dive into new landscapes of research thanks to contaminations with other disciplines from external realities. 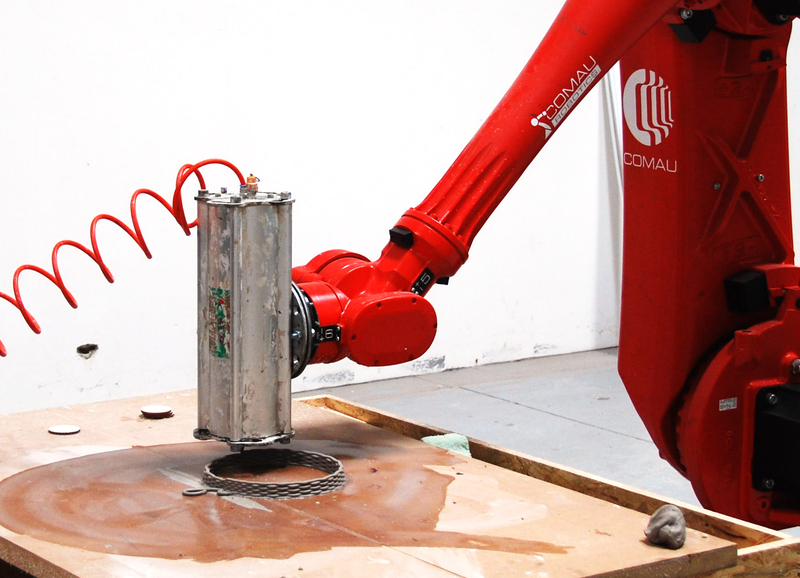 On february this purpose has come a little bit closer since the arrival of our first robotic arm made in COMAU. 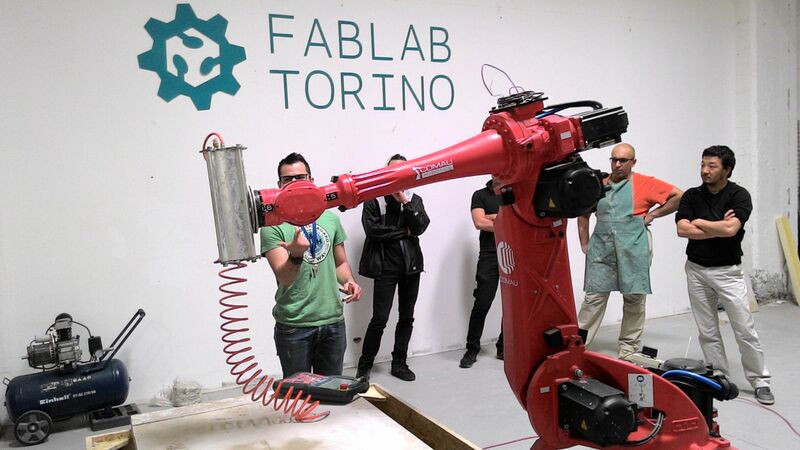 The robotic arm, nickname is “Braccio di Ferro”, takes its name from Popeye. every step will be conceived in order to understand how can, so many different fields of applications, actually co-exhist and evolve, through a process of mutual contamination. Here we wish to discover new landscapes of experimentation offering a different perspective about the world of design for research. 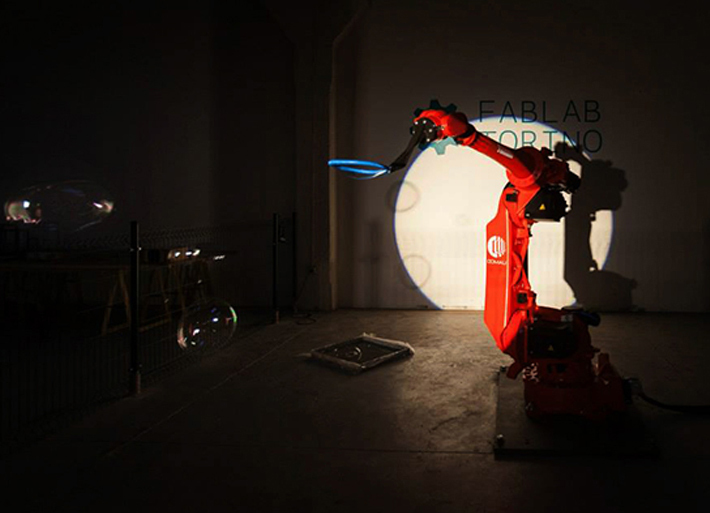 The multidisciplinary team that will actually work with the robot will be composed by several professionals: some with a “maker” background, others more technical from the fields of electronics and computational design. Now a lot of work is waiting for us to start; several are the experiments to test and projects to develop and we cannot see the time projects will be finally real. 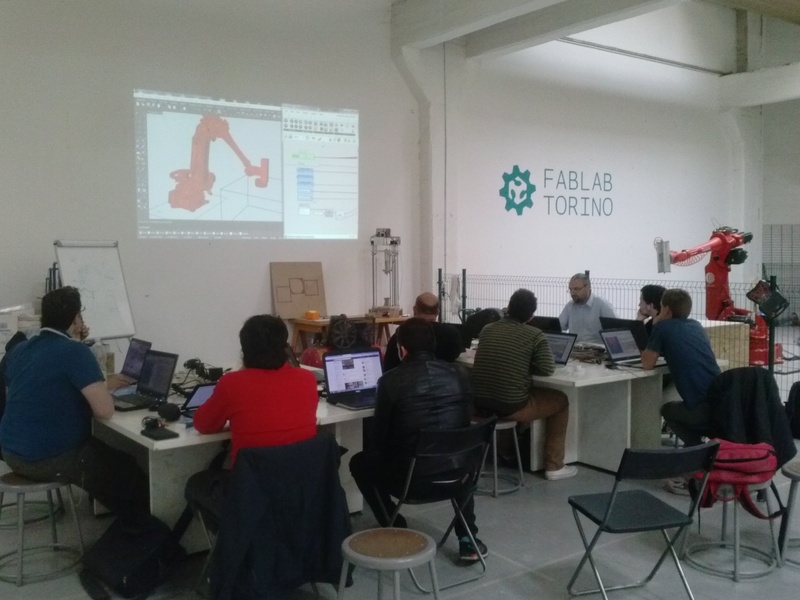 Brief: The workshop idea rises from a collaboration between Co-de-iT, Fablab Torino, Officine Arduino, based on an ongoing Co-de-iT research called “inFORMed matter. 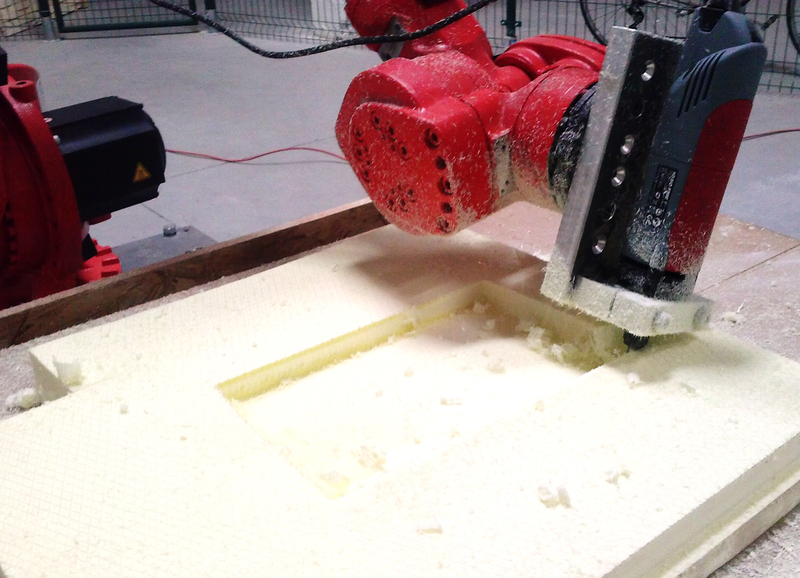 The “inFORMed matter” research project focuses on the exploration of additive fabrication processes (such as n-Dimensional printing, guided growth and/or assembly), aiming to inform (i.e. to give form) as in to produce form through the morphogenetic properties and capacities of matter by embedding further information structures during the fabrication process itself by means of mechanical (robots, printers, etc.) and/or biological (organisms - even synthetically built ones) constructor agents. 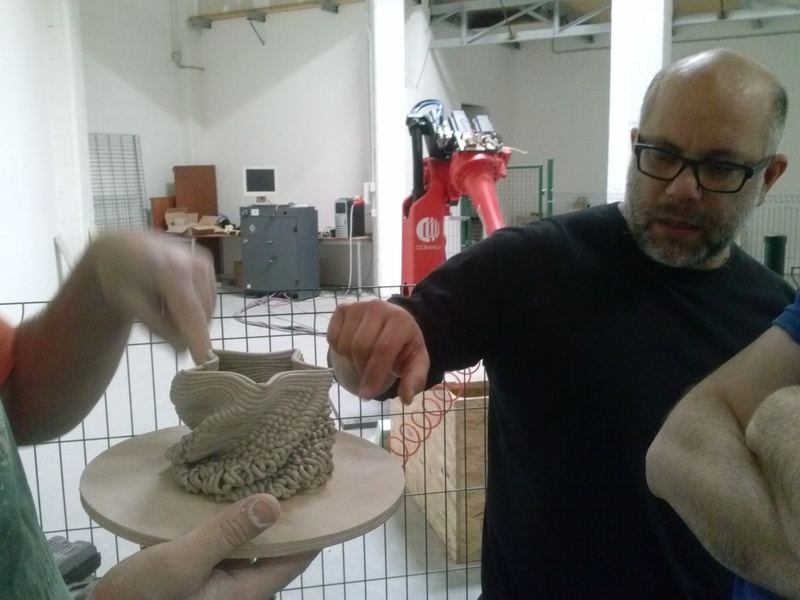 The workshop was focused about the exploration and development of the whole process of design and digital manufacturing through additive processes of ceramic mixture materials. How to embed in the modeling phase the extrusion material features, as information, and how to structure morphologies and patterns to assess whether the different physical and aesthetic performances. How to inform the prototyping tools directly during the process of modeling the object. In the present case it was used Grasshopper to originate the machine code for prototyping using directly the necessary information and transferring seamless directly from the design and programming environment to the machine. 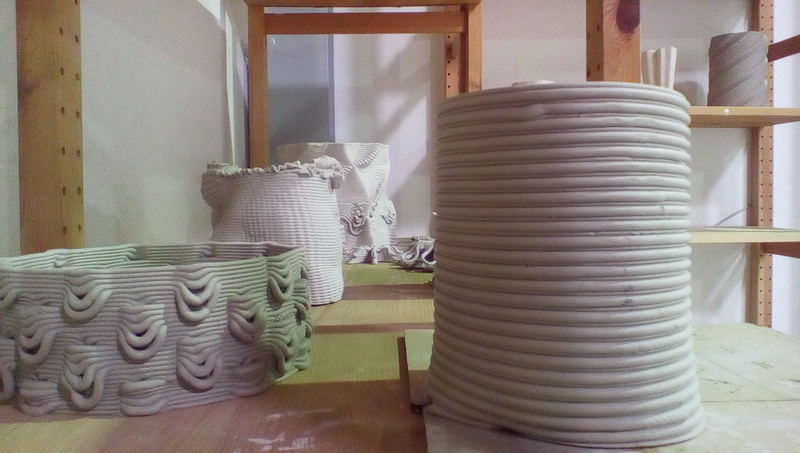 Learn to manage the characteristics of the clay material so consider their different output and emergent features as a catalog of expressive possibilities and performances of the material. Learn how to use and manage different machines for the manufacturing process. 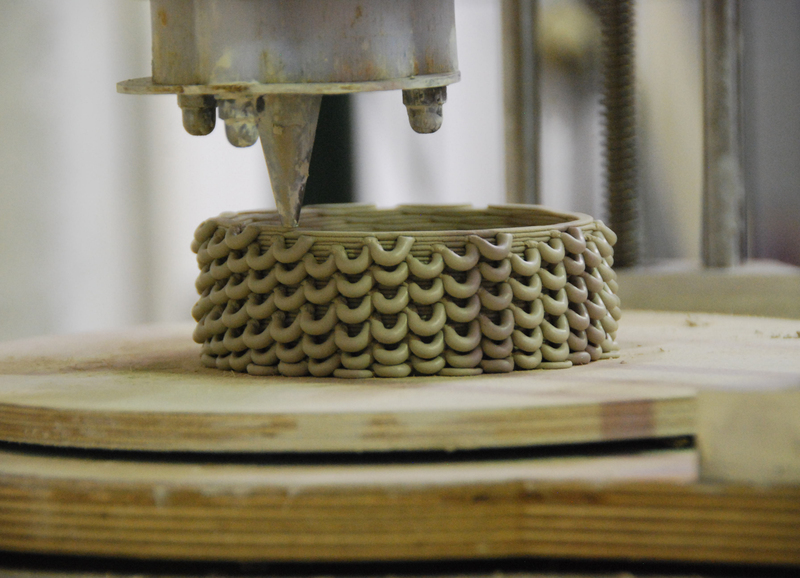 During the workshop it was used, as tools for handling the special ceramic extruder, a customized 3D printer, type delta, and a 6-axis Comau robot NJ 60. The final output was a combination of all these aspects. Only successfully combining the data from the digital model, the material characteristics and the limits and potentials of the fabrication tools is possible to evaluate and push further the potential of the research project. This design and process approach will allow the designer to achieve new design and fabrication skills and sensibilities that will be the basis of a new design awareness.